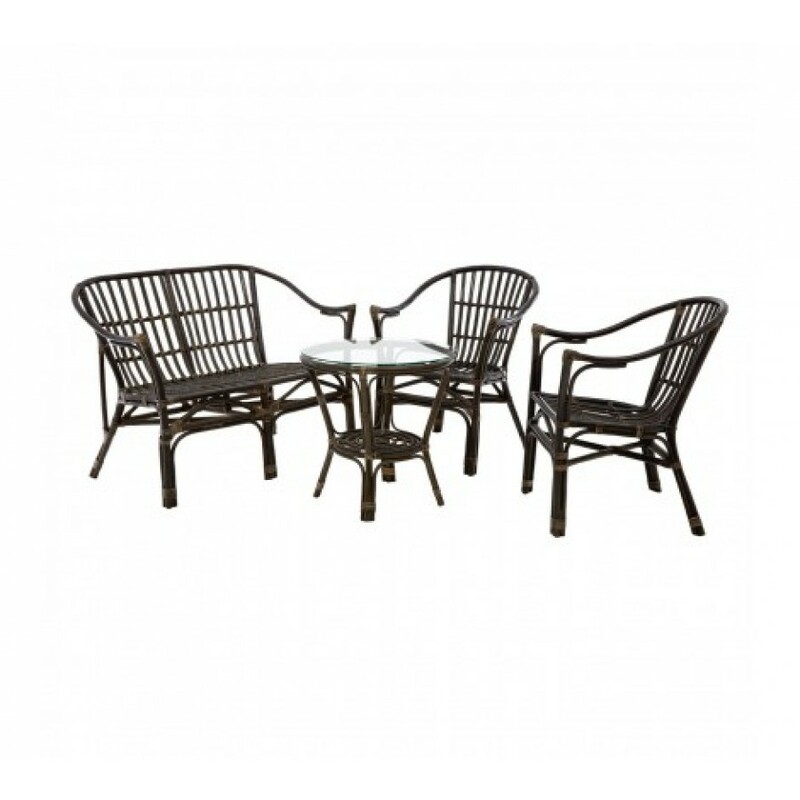 A wonderful addition for your garden or conservatory, the rattan Milano 4pc furniture set is a fantastic way to enjoy drinks with friends and family. Included in the set are 2 x chairs, 1 x sofa and 1 x table, where each piece is made from natural rattan, with a black finish, ensuring durability and a chic finish. The chairs and sofa each have a reclined back rest ensuring a comforting, relax feel when seated. The round table features a tempered glass top, which is robust and smooth, making it ideal for sitting drinks and snacks on. A shelf on the table is ideal for storing magazines or books, so your favourite reading material is close to hand. Whether it's for occasional or everyday use, the Milano 4pc furniture set is perfect for inviting guests to your home.